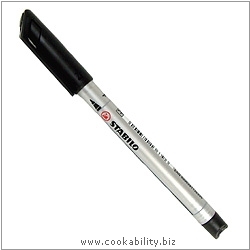 A freezer pen with a fine tip for writing on freezer labels. Black and permanent and light fast. Will write on almost all surfaces including CDs.